Watercolours by the polar explorer Apsley Cherry-Garrard (1886-1959) were discovered among thousands of works from Stanley Studios in Chelsea. The studios, where artists such as Elisabeth Frink, Jack Smith and Rodrigo Moynihan once worked, had been the home of artist and antiques dealer Peter Gerald Collins (1923-2001). Reeman Dansie (20% buyer’s premium) of Colchester dispersed the contents in a single-owner sale on May 9. “Paintings by Cherry-Garrard are known, but they are scarce. These gems were hidden among thousands and thousands of unframed works,” said Daniel Wright, picture specialist at Reeman Dansie, who spent a week at the studios going through the contents. The English polar explorer sailed with Scott to Antarctica in 1910, and on his return penned his famous 1922 memoir, The Worst Journey in the World. It recalls the challenges he endured during his winter journey to collect Emperor penguin eggs from Cape Crozier. From the folio of some 30 drawings found at Stanley Studios, two watercolours bearing inscriptions of their locations to the reverse had associations with this three-year trip to the South Pole. 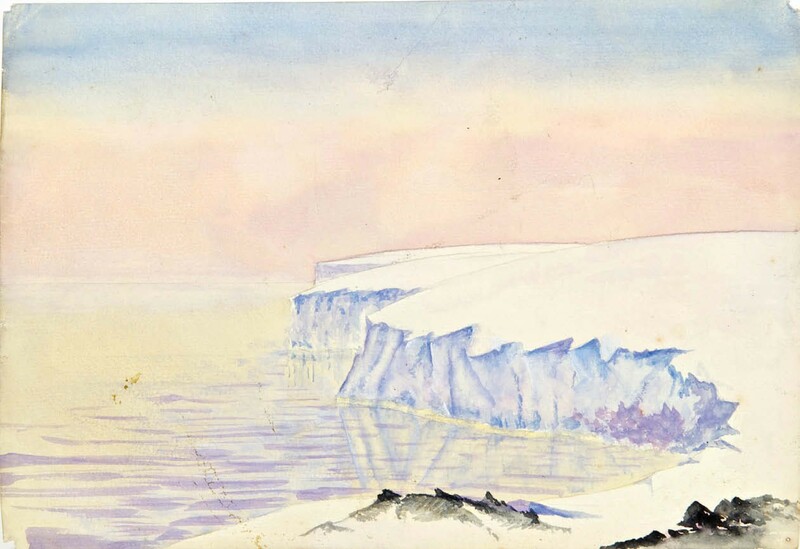 “They were curious watercolours, done by an untrained hand, but were also ethereal and presumably quite evocative of Antarctica,” said Wright. Alongside the celebrated watercolours of fellow explorer and artist Edward Wilson, “these are some of the earliest depictions of that continent”. When and where they were painted is not known, but given the freezing conditions he faced on his Antarctic missions, it is presumed they were created back at base camp or once he returned from the South Pole. 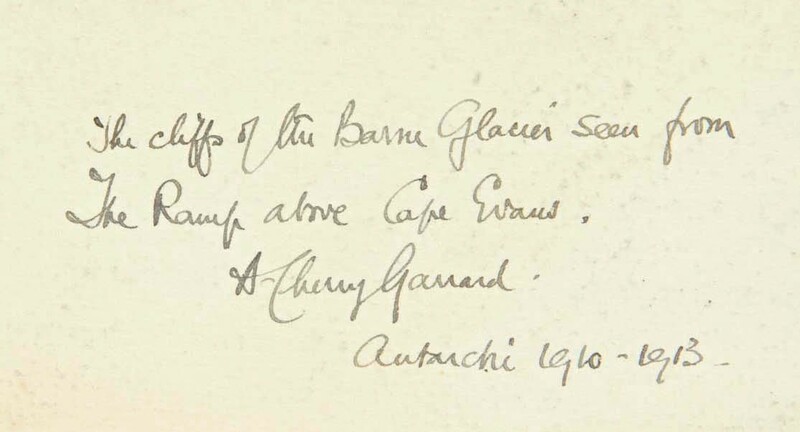 The most sought-after was a 7 x 10in (18 x 26cm) watercolour of the cliffs of the Barne Glacier near Cape Evans, which was knocked down at £1600, against a £600-800 guide. The other, an identically sized work of Cape Crozier in winter with the sun below the horizon, sold for £1400. The majority of interest came from private collectors of exploration and Antarctica memorabilia, based in Australia and New Zealand. Collectors have paid in excess of £10,000 for a Cherry-Garrard painting. In 2010, a view of Mount Erebus sold for a premium-inclusive price of £11,875 at Christie’s London. The Stanley Studios sale was led by a set of five Elisabeth Frink (1930-93) chess pieces, which together totalled over £87,000.